Clean and quiet. Really nice staff and lovely breakfast for only 5€ per person. The room was spacious. Friendly staff. Nice atmosphere at breakfast. Good breakfast for the price paid. Nicely situated with respect to the city center. Sufficient parking space in a parking close by. Völlig unkomplizierter Check-In (Schlüssel im Briefkasten). Alle Mitarbeiter sehr nett. 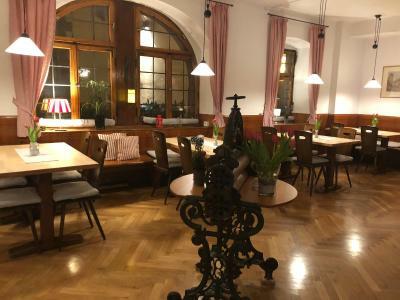 Das Hotel ist genau am alten Stadttor von Ochsenfurt.Die historische Altstadt mit den Fachwerkhäusern sehenswert.Eigene Parkplätze vorhanden.WLAN funktioniert einwandfrei. Lage und Restaurant und das Personal waren sehr gut ! 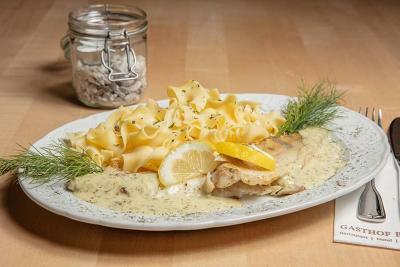 Arrivati alle 20.00, alla reception non parlavano inglese e hanno chiamato un ragazzo (Jimmy) dal ristorante per comunicare con noi. Jimmy è stato il top della disponibilità, sia per la traduzione sia per la ristorazione. Parcheggio piccolo e abbiamo dovuto fare un cambio con la macchina di un dipendente della struttura per parcheggiare. Nonostante il problema di comunicazione, lo staff è stato comunque disponibile. Le (nostre) stanze erano al secondo piano senza ascensore. Pulite ma niente di eccezionale. Per una notte va benissimo. Bagno pulito e doccia comoda. Stanza sostanzialmente spartana e pulita. Molto vicino al centro per due passi. 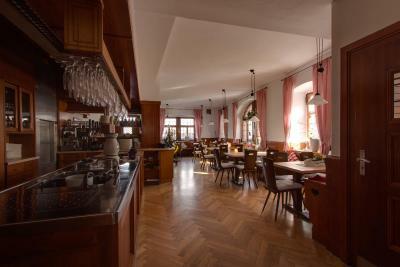 Ristorante all'interno della struttura buono. 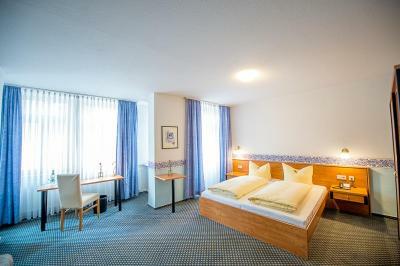 Das Bett war sehr bequem und das Fruehstueck war sehr gut. 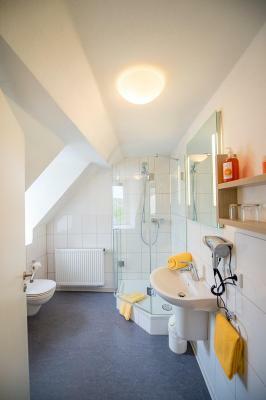 Frühstück war ausreichend, Zimmer groß, Betten sehr gut, großes Bad mit Dusche/WC jedoch ohne entsprechende Ablagemöglichkeiten in Dusche bzw. 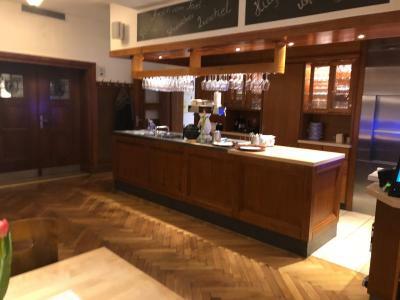 Waschbecken, großer Flachbildschirm Schöner Biergarten (jedoch durch Bahn und Straße sehr laut. ) 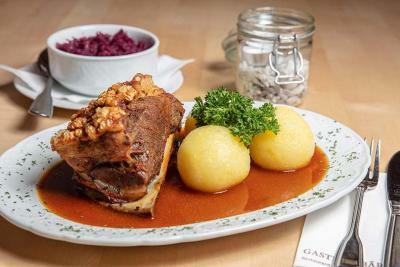 Essen im Lokal geschmacklich sehr gut, haben jedoch nur 1x gegessen da Montag/Dienstag geschlossen war. Enkelt men helt ok hotell. Bra sängar och rummen var välstädade. Vi kom ganska sent men fick snabbt hjälp av personalen. Frukosten var ok och började serveras redan halv 7 vilket var toppen för vi skulle vidare tidigt. 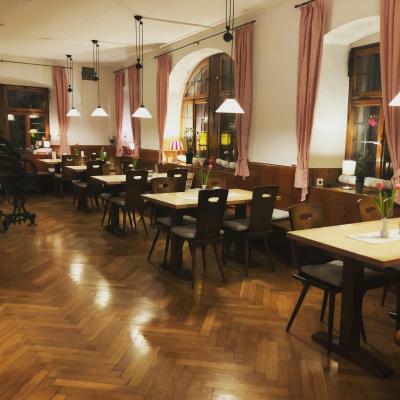 This hotel is centrally located in the historic town of Ochsenfurt. 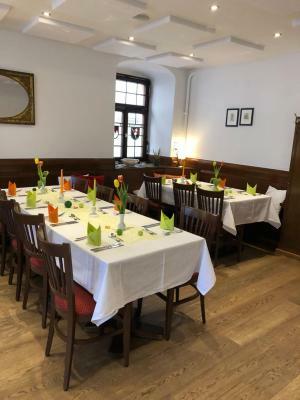 Gasthof zum Bären offers free Wi-Fi, a traditional restaurant and a beautiful garden terrace open in summer. 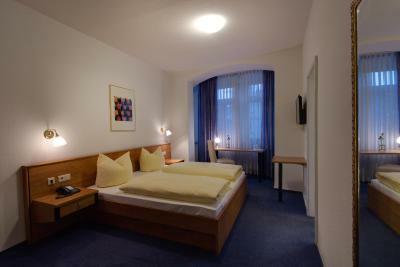 Rooms at Gasthof zum Bären Ochsenfurt are traditionally furnished and include cable TV and a private bathroom. 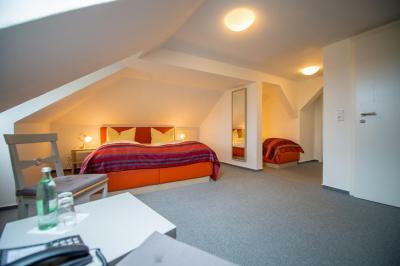 Some rooms have a bay window offering views of Ochsenfurt’s historic center. 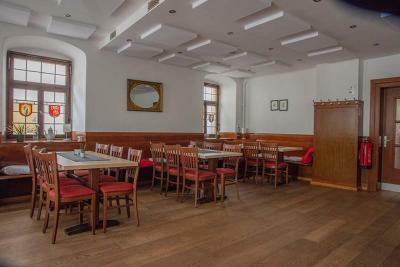 A breakfast buffet is provided each morning in the restaurant with its rich wooden furnishings and parquet floors. 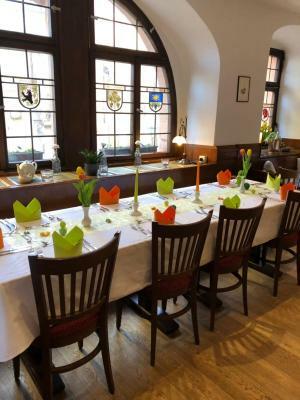 A selection of Franconian specialties and international meals are also served. 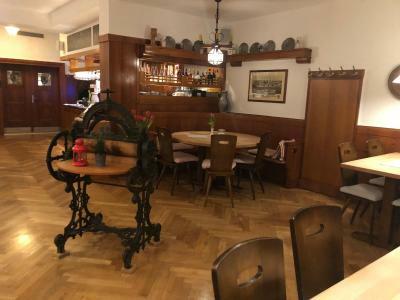 Just 1,150 feet from the River Main and offering bicycle storage, Gasthof zum Bären is an ideal base for hiking and cycling.The hotel is just 1,650 feet from a tennis, squash and badminton club. Private parking is free, and the A3 and A7 motorways are within a 10-minute drive. 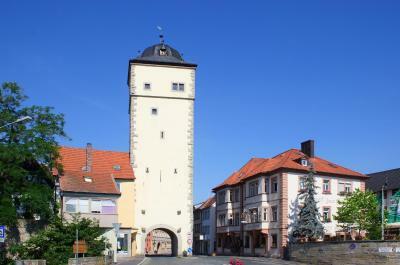 Würzburg’s historic center is just 20 minutes away by car or train. Traditionally furnished room with free Wi-Fi, cable TV and a private bathroom. Please note the private parking is located directly at the accommodations, but please follow directions to Jahnstr 2 when using a satellite navigation system. Bed was a bit uncomfortable for me, but I still slept just fine, so I would stay here again. Too close to the train station to sleep! Be aware of the railway track close by. We staid here in winter so it was no problem as we could close the windows. We would not like to stay here on a hot night, when opening the windows would be needed. Not sufficient parking space on the own property. There was a big group there the first day and the breakfast kept disappearing very quickly could have done with more food more quickly second morning was better. It would have been nice if the bar was open in the afternoon but I appreciate that it has to be staffed.